Exile’s ‘Kiss You All Over’ became the 54th song to reach 5 weeks at 1. This meant that just under a quarter of the chart toppers so far had managed at least 5 weeks at 1 as we had seen a total of 219 songs top the charts so far. La Bionda’s ‘One For You, One For Me’ spent a 3rd frustrating week at 2. The Village People’s ‘Y.M.C.A.’ picked up its second biggest climber award with a 5 place climb from 8 to 3. It had been the climber of the week 2 weeks earlier. It would be the only star rater this week. The faller of the week award was shared between Andy Gibb’s ‘Shadow Dancing’ and John Ireland’s ‘You’re Living Inside My Head’ which both fell 3 places to land at 20 and 13 respectively. ‘Shadow Dancing’ was the 24th song to see 3 biggest fallers so far with only The Sweet’s’ Funny Funny’ and Maureen McGovern’s ‘The Morning After’ going on to pick up a 4th. Marshall Hain’s ‘Dancing In The City’ enjoyed a second week as the oldest in the top 20. It was in its 20th week in the charts and was the 48th song to reach 20 weeks so far. John Paul Young had had a rather illustrious SA Chart career, but it all ended with a bit of a whimper as his final hit, ‘The Day That My Heart Caught Fire’ only managed to spend 1 week at number 20. This was the 53rd song to spend only 1 week in the charts and the 31st to spend that week at 20. This would be the only song to manage this in 1978 and we had to go back to 1976 to see the previous time. John Paul Young had managed a total of 6 hits, spent 66 weeks in the charts and managed 2 numbers 1 in the form of ‘I Hate The Music’ and ‘Yesterday’s Hero’ which had both spent 2 weeks at 1. His 66 weeks was the tied highest for an Aussie act to date, equalling that of The Seekers. By the time the charts ended in February 1989, only 1 Aussie act would have gone past these 2. Suzi Quatro’s ‘The Race Is On’ was off…the charts that is. It had managed 11 weeks and peaked at 8, not quite as good as the peak of 3 and 13 weeks that her only other hit to date, ‘If You Can’t Give Me Love’, had managed. We would see her on the charts again at a later date. 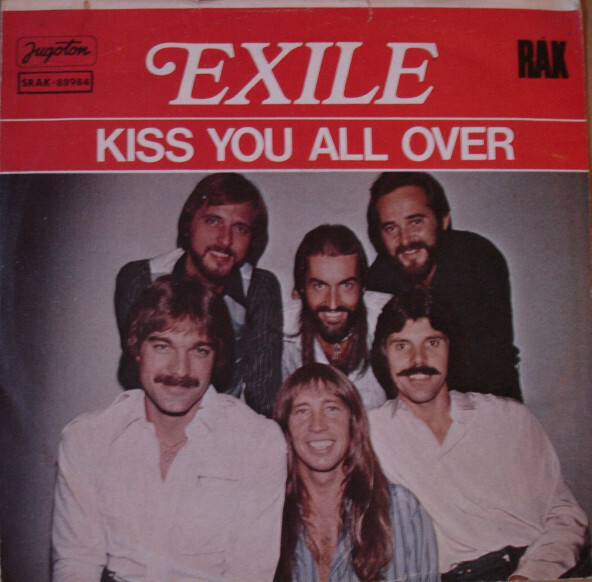 Last to go was Pacific Express’ ‘Give A Little Love’ which had been on the charts for 10 weeks and peaked at 7. This would be their only SA chart hit. Zayn Adams who was a member of Pacific Express would return to the charts as a member of Plastik Mak. With none of the new entries discussed below being by local acts, we were left with just Tommy Dell’s ‘Teddy Bear’ and John Ireland’s ‘You’re Living Inside My Head’ as the local entries on the chart. It had been 28 weeks since the count was this low. Boney M became the 62nd act to clock up at least 5 hits as their 5th one, ‘Mary’s Boy Child/Oh My Lord’ was the first of the 3 new entries this week. The ‘Mary’s Boy Child’ part of the song was a cover of a 1956 hit for Harry Belafonte. His version went to 15 in the US and would top the charts for 7 weeks in the UK. Boney M’s version would only get to number 85 in the US but the Brits seem to love the song as this version managed 4 weeks at 1. At the time of writing this, it was the 11th biggest selling single in the UK ever and Boney M along with The Beatles were the only 2 acts who had 2 songs on the list of the top 20 biggest sellers in the UK with ‘Rivers Of Babylon’ being their other one which was at 7. (For those interested, The Beatles 2 were ‘She Loves You’ at 9 and ‘I Want To Hold your Hand’ at 18). ‘Mary’s Boy Child/Oh My Lord’ would also top the charts in Germany, Switzerland and Sweden. Judy Cheeks saw her 2nd hit make out charts. Her new one was ‘The Little Girl In Me’ which followed up her ‘Mellow Lovin’. In Canada the song was released with ‘Suspicious Minds’ as the b-side, the song that Elvis had charted with in SA in 1969. In South Africa the ‘The Little Girl In Me’ was released on Ariola records and featured a song called ‘Please Give Me This Night’ as the b-side. The only other chart I have managed to find where ‘The Little Girl In Me Charted’ was in Zimbabwe (Rhodesia as it was then) where it went to number 4. Dutch group Luv saw their first SA chart action with ‘You’re the Greatest Lover’ which entered the charts at 19 this week. Luv, like Pussycat, another Dutch act who had charted in SA, was made up of 3 women. One of them was Patty Brard who would see a solo hit make our charts a few years later. This was the 25th song by a Dutch act to chart. ‘You’re The Greatest Lover’ was written by Piet Souer and Hans van Hemert. It was a 3rd hit for Souer and a 7th for van Hemert. Switzerland caught up with Romania for weeks in the charts by acts from those countries. They were both on 15 weeks and sat tied 17th overall. Acts from the UK celebrated reaching 4,500 weeks in the charts. Counting weeks from the top hit down, it would be Nazareth’s ‘Place In Your Heart’ that had that honour. Awesome setting and info. I am so glad you managed to put this altogether. Excellent info and setting – well done sir. Just a comment, (and please let me know if you’re wanting to correct spelling errors etc – if so would you prefer an email directly to you? ).